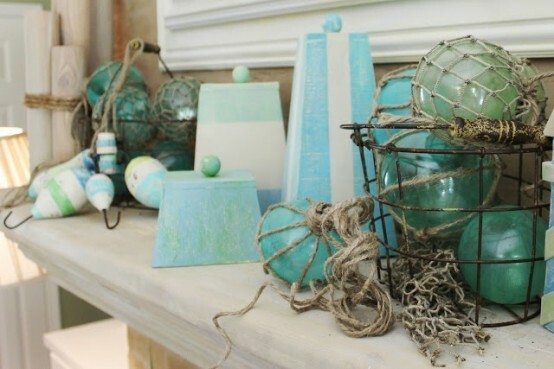 If you’re like me, you’re always looking for new ways and ideas to add coastal decor to your home. 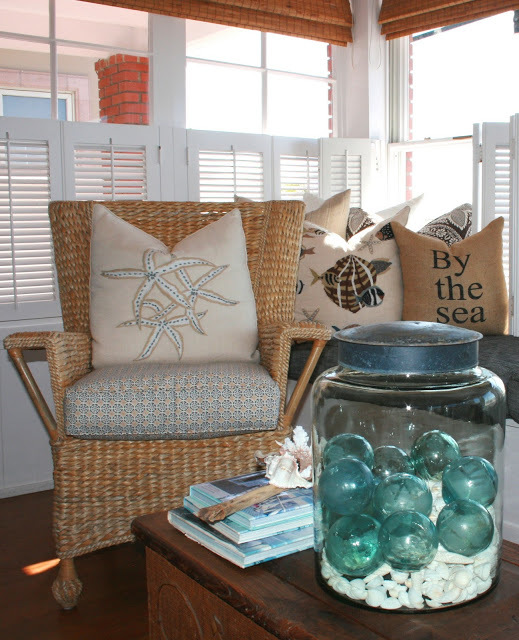 I love showcasing my special shell finds and integrating shell and starfish motifs into wall decor, table settings and of course, pillows. 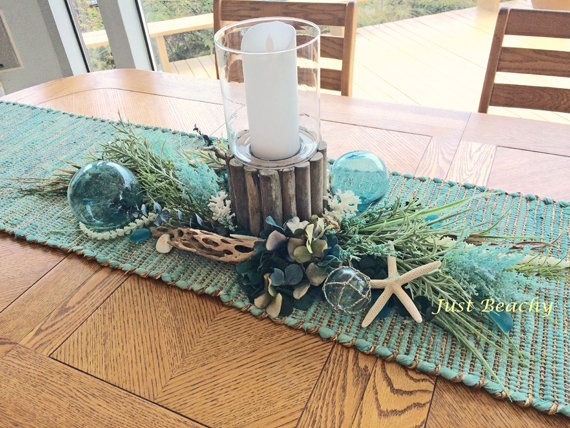 But not too long ago, I decided to bring something “vintage” into my beachy decor. I don’t have room for a giant ship’s wheel or crossed oars, but I do have room for something smallish. 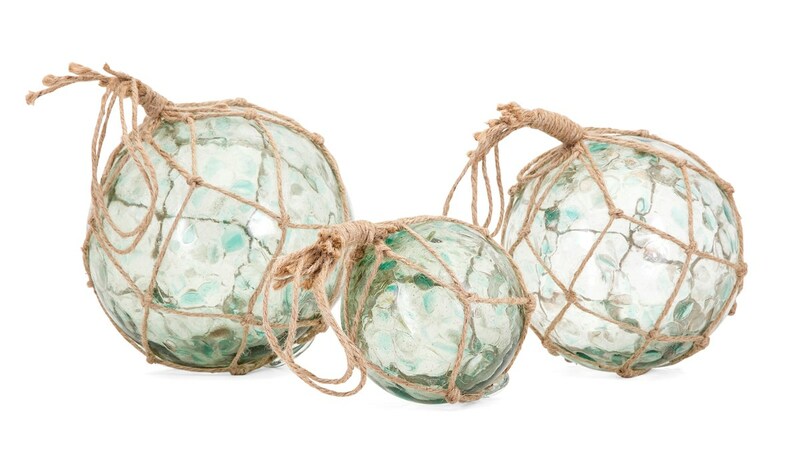 That’s why I am so excited to see how glass fishing floats bring a nautical-beachy-coastal vibe to any home in countless ways. They can do the same for you, too. 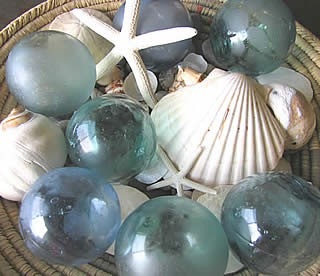 Put several in a wire or woven basket, mix them in with a display of seashells, place one on a table, desk or in a bookcase, line them up on a window ledge to capture the light, or incorporate several into a coastal mantel display. 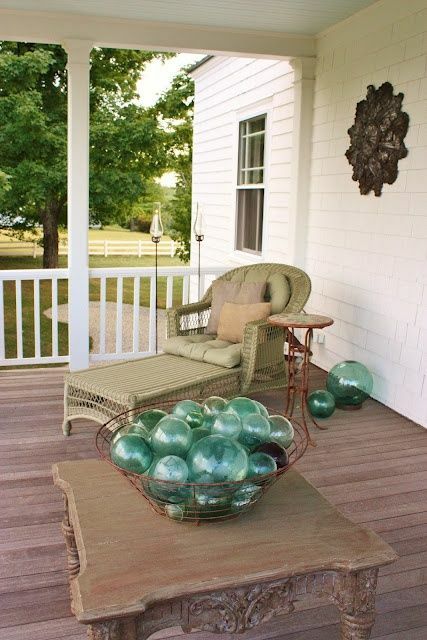 You can even take them outside and float them in a water feature. They are super versatile — coming in a variety of sizes, with or without netting. 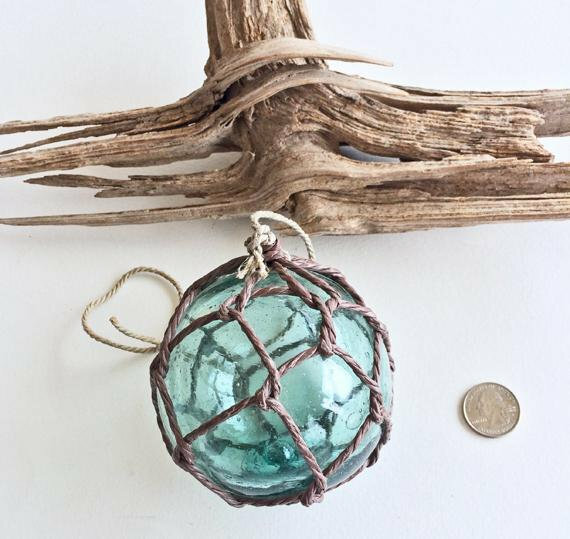 Glass fishing floats were first used to keep fishermen’s nets afloat in the 1840s in Scandinavia. Around 1910, Japan began hand blowing glass floats from used aqua and green sake (wine) bottles — it was an early example of recycling. The netting that held them in place was hand-tied by the fishermen who used them. 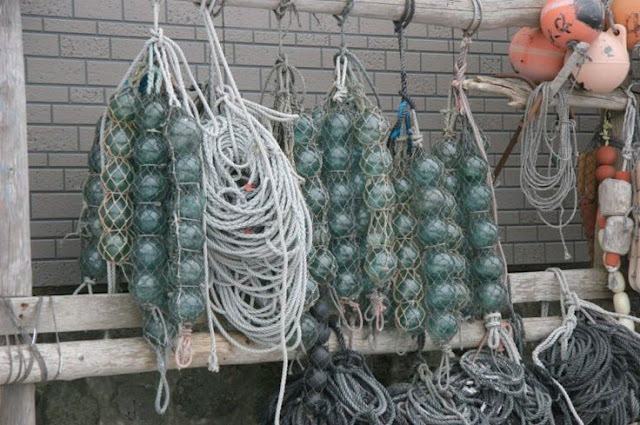 In the 1970s glass floats slowly gave way to plastic floats and today are no longer used in fishing. Although millions of floats were made in Japan — and some still float free in ocean currents and occasionally wash up on a beach after a storm — their number is finite. 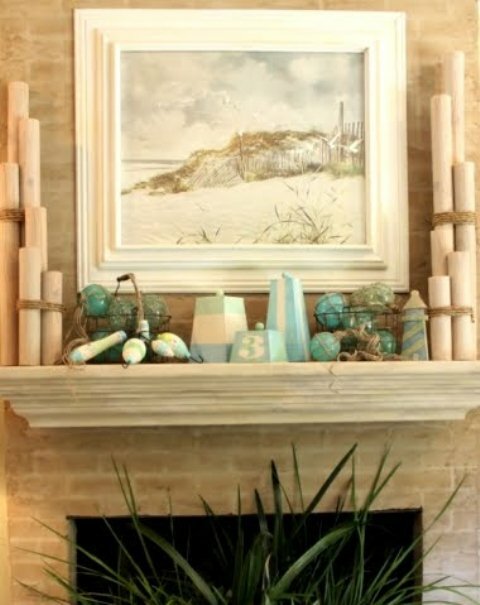 Or you can purchase beautiful, brand-new replicas in beachy colors, such as the ones featured at Caron’s Beach House, www.caronsbeachhouse.com. 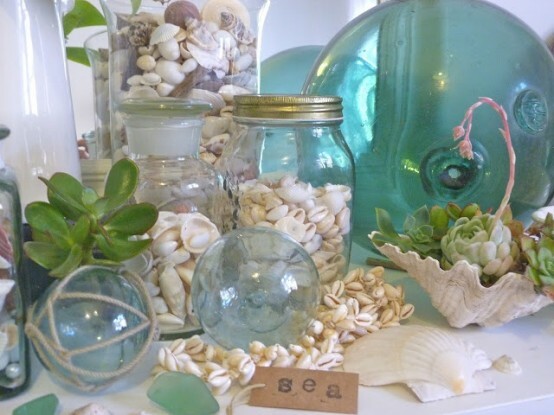 Whether you choose vintage or new, your glass floats will reflect the romantic, rugged past of the world’s oceans! 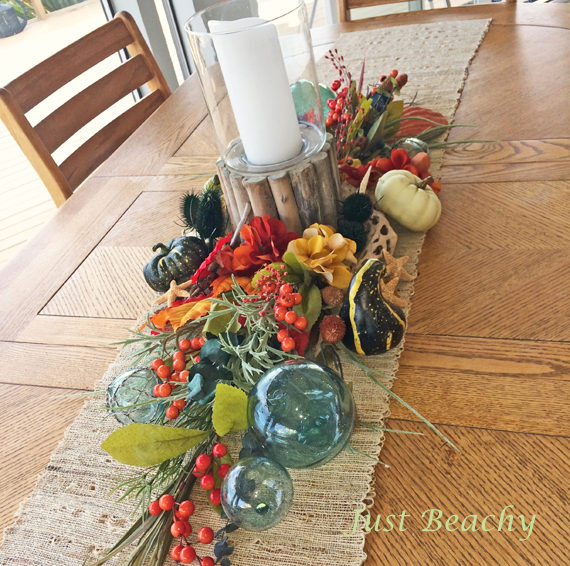 What’s been really fun for me, besides turning small floats into Christmas ornaments each year, is using floats to create a seasonal centerpiece on our dining table. With a driftwood hurricane and candle as the anchor, I add driftwood, shells, starfish and several vintage glass floats. 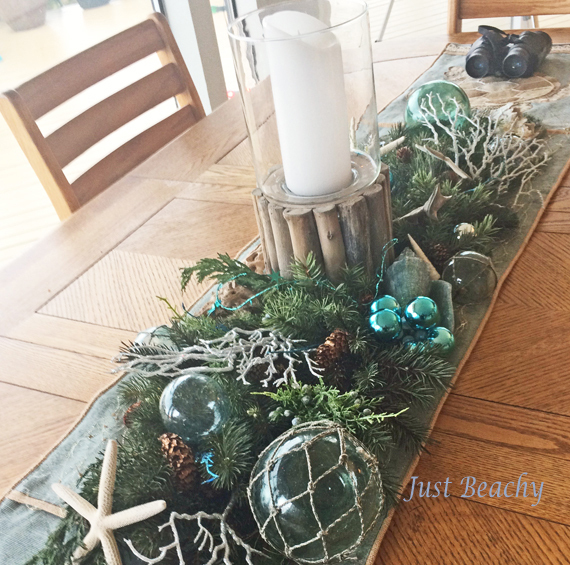 Then I change out a variety of faux and real organic materials to salute the season. 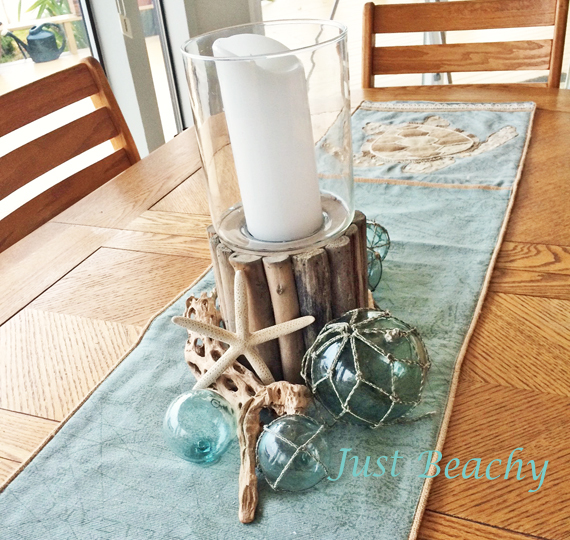 Really simple and instantly says "Beach Home"!